No one did more to combine in his operas the innovations of the Viennese classical composers, Haydn, Mozart and Beethoven, with the Italian ideal of bel canto, than Johann Simon Mayr, the Bavarian composer who rose to fame in Italy. 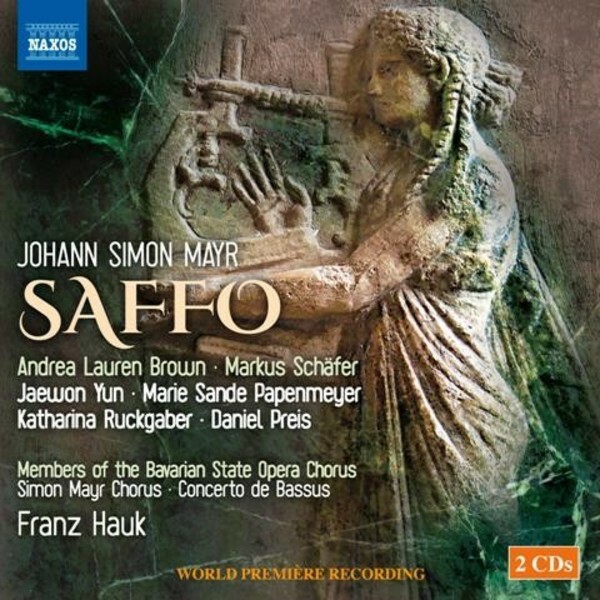 His opera Saffo, first performed in 1794, dates from his years in Venice. Not only was it his first opera, but it was also premi�red at the Teatro La Fenice where it was enthusiastically received. It is full of surprising and striking elements, with a strong musical realisation of the text, supportive string and woodwind writing and vivid solo and choral effects. Set by the Rock of Leucas, from which unsuccessful lovers leap to their deaths, the opera deals with the poetess Sappho�s unhappy love for Phaon, finally resolved in a happy ending.